Pamper your skin with this luxurious collection of seasonal treats from Elizabeth Grant. This illuminating face serum is designed with an advanced dual system designed to visibly revitalize and help improve the appearance of tone, texture and firmness, with Torricelumn™ and Collagen. It also helps to nourish whilst boosting moisture and strengthening skin. 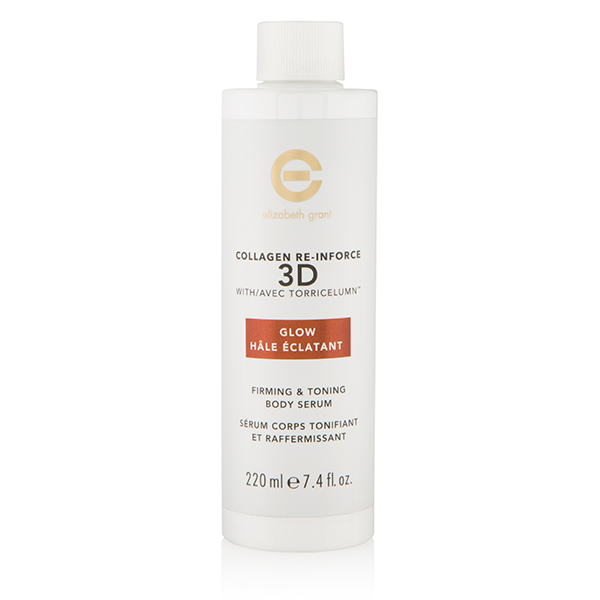 This silky, fast-absorbing body serum leaves you with a gorgeous glow, as it gradually develops an even, tanned look whilst helping to provide a soft, smooth base. It visibly tones, firms and refines. 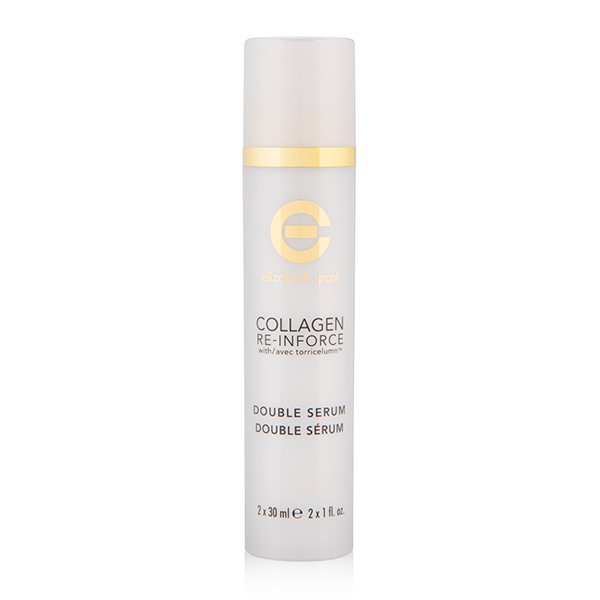 Infused with algae extract, the blend also works to improve elasticity, boost hydration and plump with collagen. Refresh your skin with the beautifully comforting water-based Absolute Face Balm. Melting into skin on application for a soft, glowing finish, this nourishing balm is formulated to balance and boost hydration with cold pressed Avocado oil, antioxidants and essential fatty acids. A biomimetic tetrapeptide helps to support the structure of the skin by improving density and smoothness whilst a protein complex works to nourish and enhance radiance. Torricelumn™, clinically tested to boost hydration levels, helps to plump, leaving skin looking firmer and smoother. Collagen and Collagen Re-inforce is Elizabeth Grant Skin Care’s answer to skin that is starting to wrinkle and slacken. 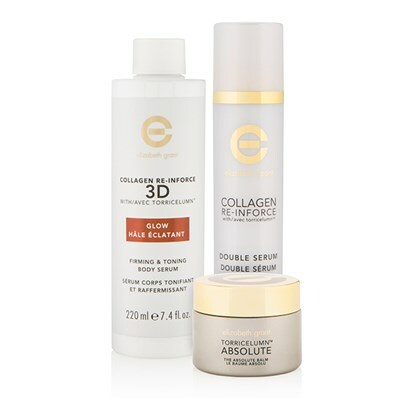 Each product combines quality ingredients with one of the most advanced in Collagen and Collagen Re-inforce skincare technology, to bring to you a luxurious and effective range. Each product has been specifically researched and selected for its individual cosmetic properties. The range helps to temporarily improve the visible appearance of the skin whilst plumping the look of fine lines and wrinkles for a smoother, more youthful complexion. 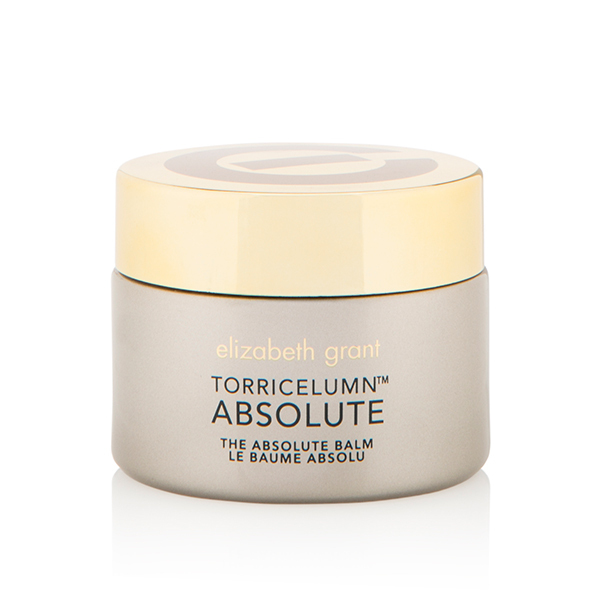 The Absolute range by Elizabeth Grant Skin Care is armoured with BioLumaEssence Technology, formulated to restore firmer, bouncier and more youthful that positively glows whilst redefining the skin’s natural anti-aging process. Complexions appear smoother, as the look of lines and wrinkles diminishes.